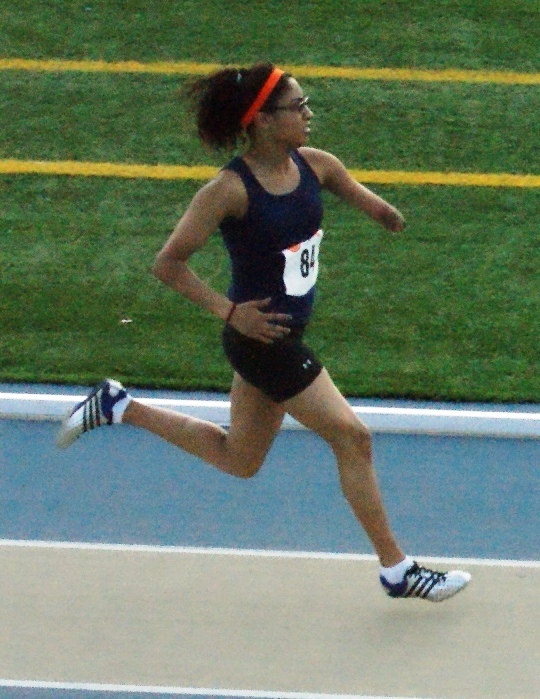 NLAA is pleased to announce that five athletes that took part in Hershey Provincial Track and Field Final, June 4, were selected to attend the North American Final, August 4 - August 7, 2011 (North American Final Meet - August 6), in Hershey, PA, USA. Katarina had an absolutely phenomenal day at the track in Windsor, Ontario competing at the Boiling Point Wheelchair Track Classic International Championships where some of the world’s best competed. 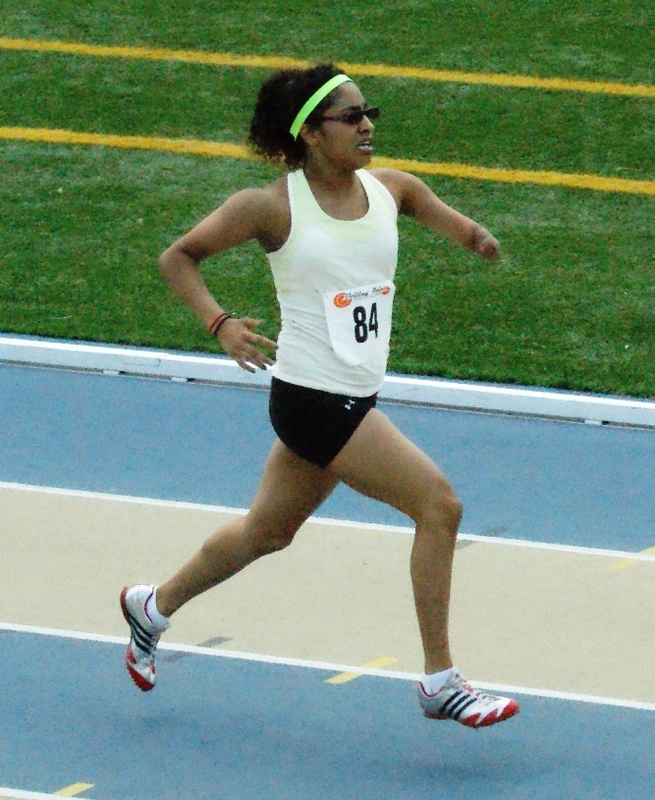 She competed in 5 events - the 100m, 200m, 400m, 800m and the 1500m races, breaking 2 National Records, getting 4 Personal Best Times and with winning 5 First places in the T46 category. It was extremely hot as usual at this competition that we come to every year. She did the 400m, 800m and 1500m in the afternoon when the sun was at its peak. Despite that, she had amazing races. She broke the 1500m National Record by more than an mind boggling 63 seconds. The previous record was a very long standing 23 year record of 7:11.36 was set by Janelle Rue in 1988. Katarina completely annihilated this record today with a time of 6:08.20 running in this afternoon’s blistering heat. The next national record was the 400m that she demolished with the new time of 1:08.12. The previous one was her own at 1:10.70 that she set last year at the same competition. She had personal best times in the 100m, 200m, 400m and the 1500m which was 4 out of the 5 events she competed. With these timings, Katarina has attained the "B" Qualifying Times (QT) for London 2012 in Athletics in the 100m and the 400m track events. She is working on getting "A" qualifying times God-willing within the next 2 weeks and she will earn a spot for Canada. Of course her earning a spot for Canada does not guarantee a place for her on the national team, but we are ever hopeful. In Swimming the Qualifying Timing announcements were done last August 15th and Katarina attained the "A" Qualifying time in the 100m Breast Stroke the very next day at the IPC World Championships. In our post meet discussions, Katarina said, "I thank God first for blessing me so much. For my family, team, training partners, friends and everyone who believed in me and encouraged me. I am so thankful to have such support." She said she was very tired and her legs were a little sore, but apart from that she felt very good. This is the first time she has run 5 races in a 6 hour session especially in an International Track Competition, but has performed like a real trooper from the Rock. Attached are a couple of pictures. I could not get the best of pictures as I had to take it from the stadium.